DISCOUNTED CHERUB DECOR - CLEARANCE ITEMS! We have unique discounted cherub decor, like cherub fountain, cherub welcome sign, cherub statues, cherub figurines, cherub wall decor. 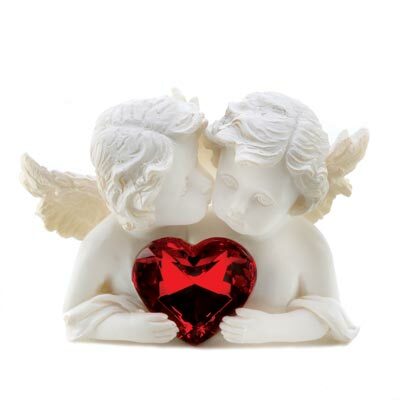 Check more of our discounted cherub decor! 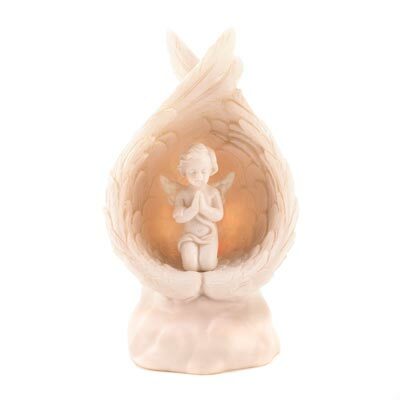 15058 LIGHT-UP PRAYING ANGEL FIGURINE! Sheltered inside a pair of folded wings, this little cherub kneels in prayer as all around, soft lights bestow a rapturous glow. A figural portrayal of the boundless power of faith! Browse our CHERUBS with all images! Browse our CHERUBS without images! Check our Discounted CHERUBS - click here!